Decades of public health messages have encouraged us to drink milk to strengthen our bones and reduce the risk of fractures as we age. But dairy products have recently come under fire – and not just from paleo dieters and animal welfare supporters. Researchers have linked high milk intakes to bone fractures, cancer and premature ageing. 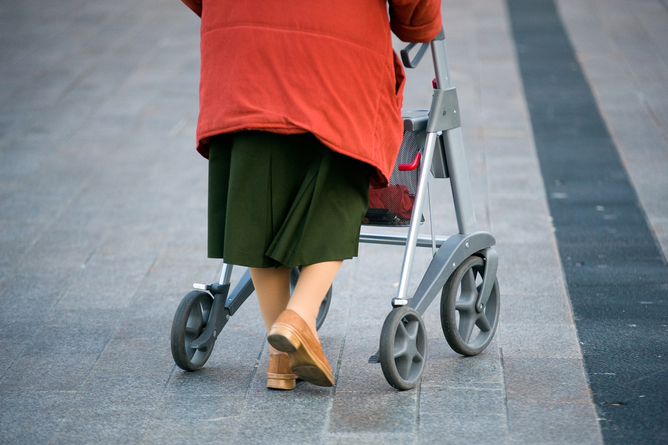 Only last month two research reviews, published in the British Medical Journal, reported that calcium supplementation and dietary calcium intake didn’t substantially reduce the risk of hip fractures or increase bone mineral density in adults aged over 50 years. We would love to give a definitive answer on whether milk is healthy or harmful, and whether you should include it in your diet. But the reality is, it all depends. It depends on how much and what kind of milk products you consume. It depends on whether you’re an omnivore or vegetarian. And it depends on your age and current health status. So, whether you’re underweight or carrying excess weight, elderly or convalescent, or have food allergies or intolerance. Let’s look at whether the arguments against cow’s milk stack up. 1. Milk increases your risk of chronic diseases? The most recent reviews of the evidence have shown that drinking milk is not associated with increased risk of premature death. Dairy consumption is associated with a reduced risk of heart disease and stroke, type 2 diabetes and colon (bowel) cancer. Milk, dairy and calcium have not been conclusively associated with an increased or decreased risk of any other cancer. But there is limited evidence to suggest dairy increases the risk of prostate cancer. Dietary calcium and dairy products are important for bone development up until the end of adolescence and for maintaining peak bone mass in adulthood. But there seem to be few benefits for older adults, in terms of fracture prevention, neither for dietary intake or supplementation. There are also possible adverse effects from too much calcium, such as kidney stones, heart problems and gastrointestinal symptoms. It’s important to keep in mind, however, that there are few robust clinical trials of the long-term effects, especially in the context of chronic disease. And milk intake can be vastly diverse (quantity and form). So it’s difficult to compare study conditions and provide definitive conclusions. 2. Cow’s milk is for calves and not for humans? Human breast milk is arguably the first food the human gastrointestinal tract is exposed to. It provides a large selection of vital macro- and micronutrients to promote growth and development of the newborn. Note the larger concentration of lactose in human milk, but the significantly lower protein, calcium, phosphorus and slightly lower fat concentration. Lactose (the naturally occurring sugar found in milk) is broken down into glucose and galactose in the gut by an enzyme, lactase. Lactase is present in the gut of babies but production declines after weaning in two-thirds of the world’s population. This is known as lactase non-persistence. The natural decline of lactase production is the basis for the argument that we’re not “designed” to continue to consume milk. However lactase persistence (tolerance) is an inherited trait thought to be associated with dairy farming and has been identified in dairy-consuming populations around the world. People with lactase non-persistence are largely lactose-intolerant. When these people consume milk, lactose remains unabsorbed in the gut, causing bloating (due to bacterial fermentation) and build-up of fluid leading to diarrhoea. It’s worth noting that products derived from milk, such as yogurt and cheese, have significantly lower concentrations of lactose due to the yogurt and cheese making processes, so they may be well tolerated. 3. Milk accelerates the ageing process? Lactose is made of two simple sugars: glucose and galactose. When lactose is digested, galactose is absorbed and metabolised, resulting in the metabolite D-galactose. Animal studies have found that D-galactose increases oxidative stress in mice and accelerates the ageing process in flies. Oxidative stress essentially means that the body’s antioxidant “capacity” (dietary antioxidants compounds and the body’s antioxidant enzymes) is less than than the amount of free radicals. This imbalance leads to oxidative damage and ageing. 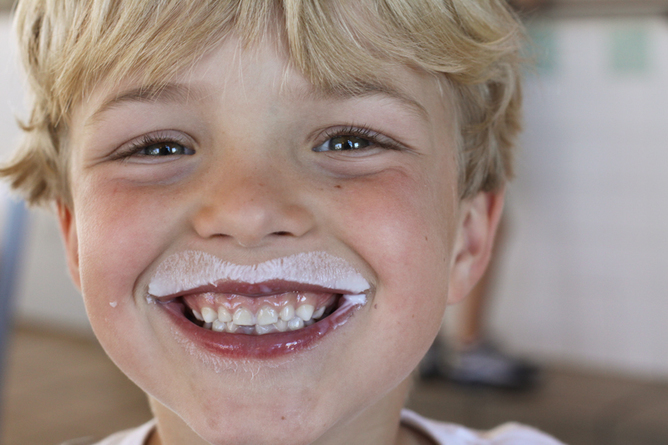 These animal studies have prompted some scientists to argue that drinking milk accelerates ageing in humans, by increasing oxidative stress and inflammation from galactose exposure. But there is insufficient evidence for the theory and a lack of association between chronic disease and milk consumption, as outlined above in humans. It is worth pointing out that human breast milk contains a much greater concentration of lactose – therefore galactose – than cow’s milk. If the link with increased oxidative stress was a possibility, it would have perhaps been observed earlier. A subset of children, however, are born with the genetic disease galactosaemia. This is where the body is unable to metabolise galactose because it lacks one or more functional enzymes. The build up of galactose causes serious health problems. Total galactose (also present in other than dairy foods) avoidance is currently the only treatment. 4. Cut down on milk because it’s high in saturated fat? Milk and dairy products, especially full-fat varieties, are high in saturated fat. Two-thirds (68%) of milk fat is saturated fat. Saturated fat has been suggested to increase concentrations of “bad” cholesterol in the blood and to increase the risk of heart disease. For decades, dietary guidelines have recommended consuming low-fat dairy products to reduce saturated fat intake. More recently, though, the evidence linking saturated fat to cholesterol production and to heart disease has been debated. Specifically, in relation to milk intake, the most recent literature review and a cross-sectional study suggested that milk intake was not associated with an overall increased risk of heart disease. And those consuming full-fat dairy were less likely to have metabolic syndrome (a condition that includes risk factors for heart disease and type 2 diabetes). Recommendations to consume low-fat dairy products remain in the Australian dietary guidelines and are likely to be in the revised United States dietary guidelines, due to be released later this year. These recommendations are generally justified in the context of obesity, however, as fat contributes the greatest amount of energy of all macronutrients. The quantity of milk consumed is important to consider in any case – a dash (40 mL) of full fat milk in a cup of tea or coffee will provide 1.6 grams of fat (1.1 grams of saturated fat) and 118 kJ of energy. A full fat milk “grande latte” will provide approximately 15 grams of fat (10.2 grams of saturated fat) and 934 kJ of energy. Food Standards Australia New Zealand (FSANZ) sets and tightly regulates food standards. All milk is extensively tested to ensure it meets these standards and is free from chemical and biological contaminants. The penalties for farmers who breach these conditions are heavy, which act as an effective deterrent. 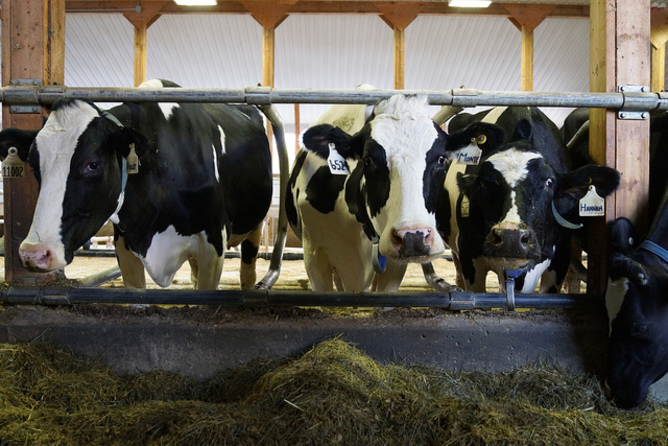 Any cows treated with antibiotics (for mastitis, for instance) are identified and their milk discarded for the required length of time to ensure it does not become mixed with the farm bulk milk. If a bulk consignment is shown to have antibiotic residues (even minute amounts), it is condemned in its entirety and the farmer receives no income. While recombinant bovine growth hormone is approved for use in the dairy industry in the United States, it is banned from use in Australia. Pasteurisation (heat treatment) destroys any disease-causing bacteria such as E. coli, listeria, Salmonella and Campylobacter that may be present in milk. These bacteria can lead to serious health problems and, in some cases, death. In Australia, it is illegal to sell milk for human consumption that has not been pasteurised. So is it bad or good for me? Do dairy foods suit my physiology? Which dairy foods suit me best and how much of them should I include in my diet? Are fermented or unfermented milk products more suitable? If I don’t tolerate dairy foods, how can I receive the same valuable nutrients from other foods? In addition to the nutrients mentioned earlier, milk provides vitamins A, B1, B2, B12 (and D when it has been added), potassium, magnesium, phosphorus, zinc and selenium, with concentrations varying according to the feeding quality of the animal. Non-dairy, plant-based milk alternatives – such as soy, almond, oat, rice and coconut – have a different nutrient profile, and may be fortified to match dairy milk on certain micronutrients. While robust clinical trials measuring the long-term health implications remain scarce, dairy consumption – and yogurt, in particular – is associated with greater diet quality, perhaps because it provides such a variety of target nutrients. If they suit your physiology, milk and dairy products will help you meet your daily nutrient recommendations for optimal health.